While Halloween has come and gone, it’s not too early to start brainstorming for next year’s jack-o’-lantern hack. Perhaps you’re thinking about lighting a pumpkin with an Uno-powered array of LEDs, or activating a shield to play scary recorded noises. 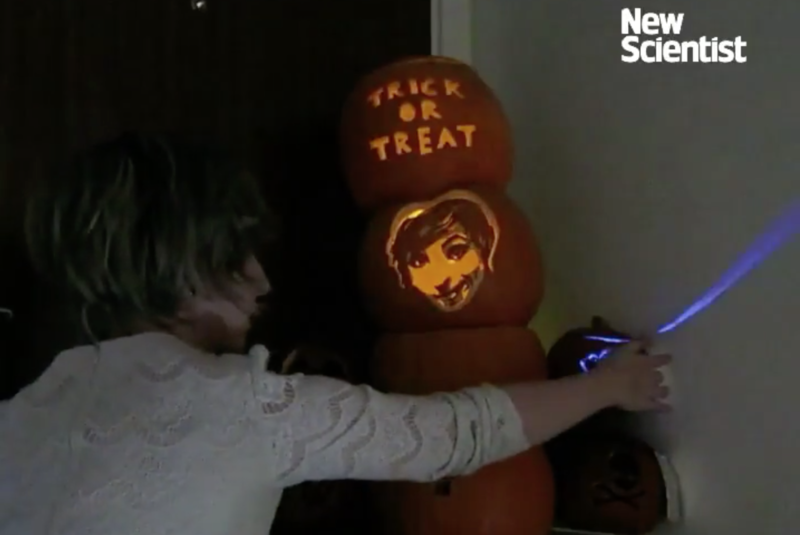 If, however, you’d like inspiration for something more involved, the New Scientist team’s Arduino-controlled nine-pumpkin rig shows off lots of creative ideas. The system holds candy in a hacked cereal dispenser, which is released through a long clear plastic tube. But instead of giving away treats for free, it’s activated by an interactive memory game involving four pumpkins on the sides of the assembly. Trick-or-treaters must tap each pumpkin’s aluminum foil switches in sequence. If replicated in the correct order, they are rewarded with candy. If not, visitors are “treated” to a spray of silly string! You can read more about New Scientist‘s project in this article, and see it in action below! 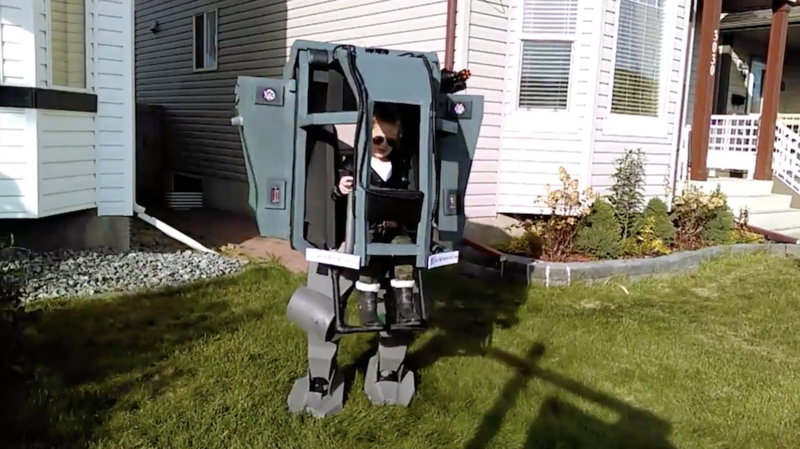 Angry Spectral Delta – [Nathan Bryant] made an actual costume for his delta robot from Robot Army. By attaching a small plastic skull to the end effector and draping a tattered piece of fabric over the rest of the mechanism he effectively transformed the delta into a little ghost with a sassy personality. The head swiftly bobbed about, all while staying parallel to the table… until it intermittently came unhinged and hung limply, which was a nice added effect! Robotic Exorcism Baby – This doll could turn its half skeleton, half baby face 180 degrees and then laugh at your fear. 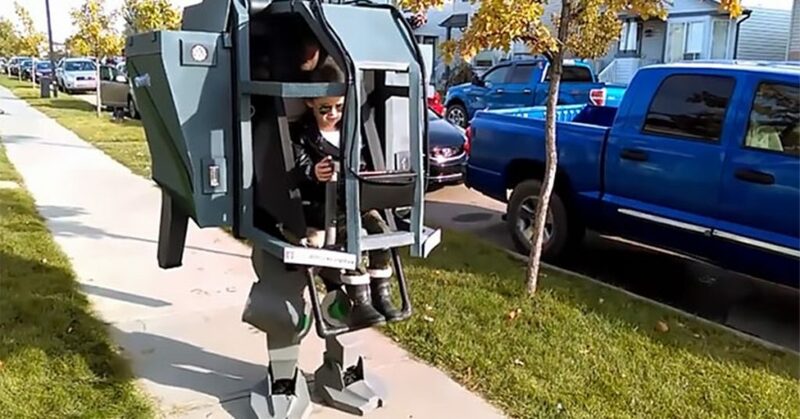 By attaching two servo motors together, [Jeremy] was able to create a pan and tilt mechanism which acted as the baby’s contorting neck and chattering jaw. The micro controller sending commands to the motors was hidden modestly under her dress. Stabby Animated Cardboard Shadowbox - Among the animatronic devices seen at the event was a shadowbox made by [Brandon] hidden in a dark conference room nearby. When one happened to walk past the seemingly unoccupied space, they’d glimpse the silhouette of an arm stabbing downward with a knife through a windowsill. Being lured in for further investigation you’d find that the shadow was being cast by some colored LEDs through a charmingly simple device. A cutout made from recycled card stock was attached to a single servo. This whole mechanism itself rocked back and forth slightly as the motor moved, which wasn’t intentional but added some realism to the motion of the stabby arm.